Authenticity. A meeting point. 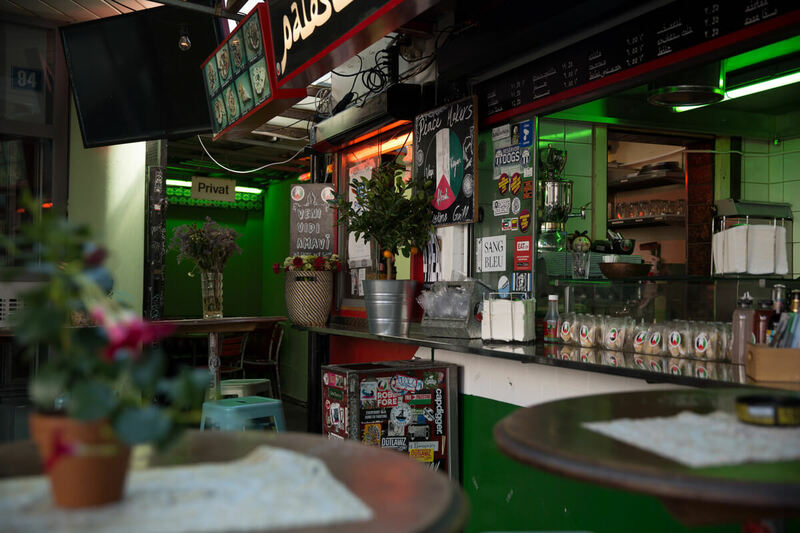 A place where you will be welcomed with a warm "Hoi!" and told goodbye with a friendly "Ciao!". High quality and freshly produced dishes. All hand-made. A contrast program to the slowly but surely gentrified district 4 of Zürich, the so called Langstrassen-Quartier. The hashtag #nobodayleaveshungry gets a whole new meaning, or is at its best. This is real. You smell it. You feel it. You savour it. 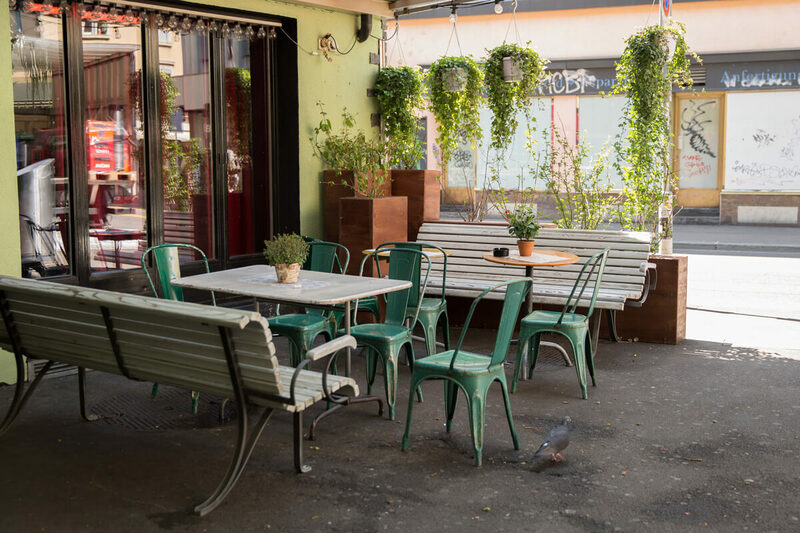 Palestine Grill is an oriental experience married to Swiss excellence. Trust me: Once you have come into the pleasures of this culinary voyage to the Middle East, you will understand. For me, it was love at first sight. Or bite. Because the day I ate my first sabich at Palestine Grill, I instantly knew that I would be going back to this Langstrasse take-out earlier rather than later. And so it happened. sabich never fails in making my taste buds happy, but neither do falafel, chips and the hummus, which are just delicious. 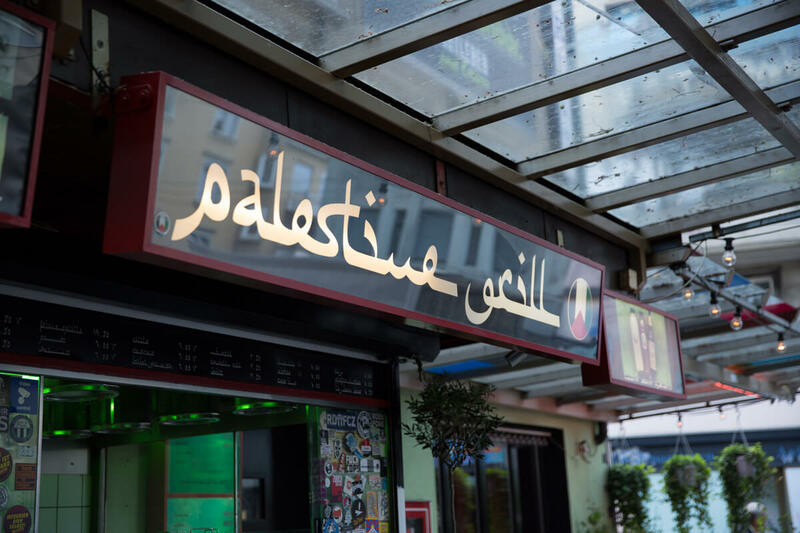 Still, even though the food at Palestine Grill is already highly convincing, it is the authenticity of this secret place on Zürich's gastronomic map that makes it truly special. 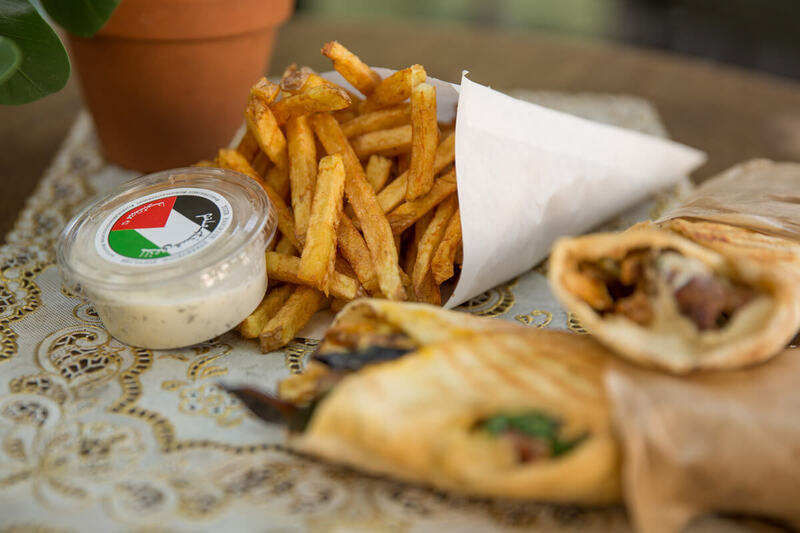 Palestine Grill stands out in comparison to the quickly growing chains and big players all over the city. I wanted to learn more about this one-of-a-kind concept and so I met Sami, the founder, and his sister Dina, on a sunny Friday afternoon in front of their stand. 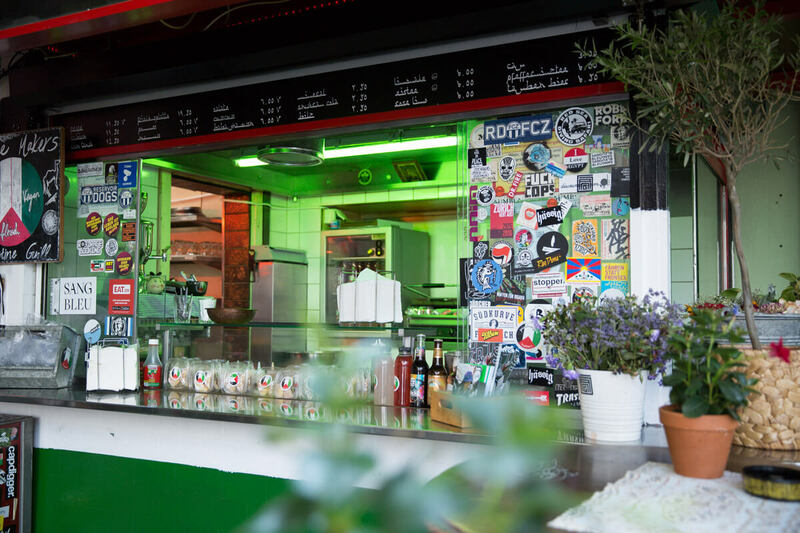 While some of the typical Langstrassen characters walk by, Sami explains that Palestine Grill actually originated by accident. There was available space, an empty location. And there was an idea: To sell his mother's original Arab recipes, like her falafel. In the end, they decided on only selling three different dishes: Falafel, sabich and shish. 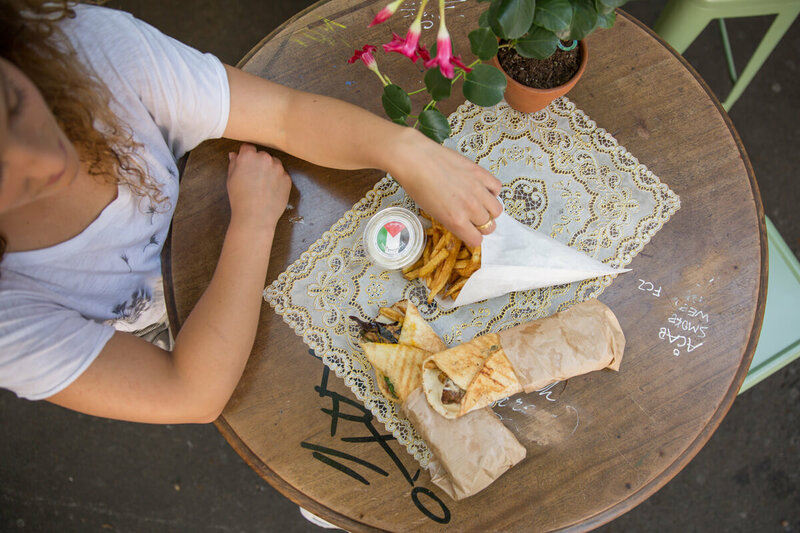 All of them come with the same basic ingredients: Flat bread, hummus, Middle Eastern style salad, fresh mint and parsley leaves, pickled vegetables and chips. 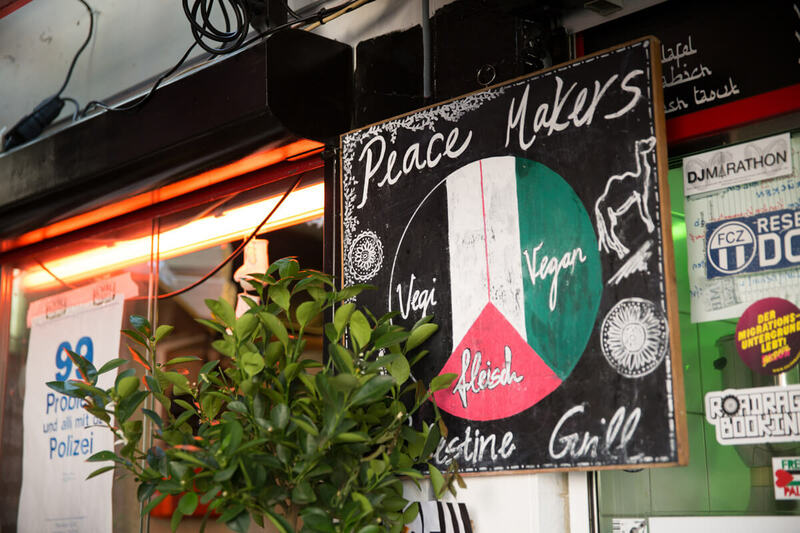 The falafel bears some cultural conflicts in itself already, since several cultures claim to be its inventors: Israel, Palestine, Syria, Egypt and Lebanon. 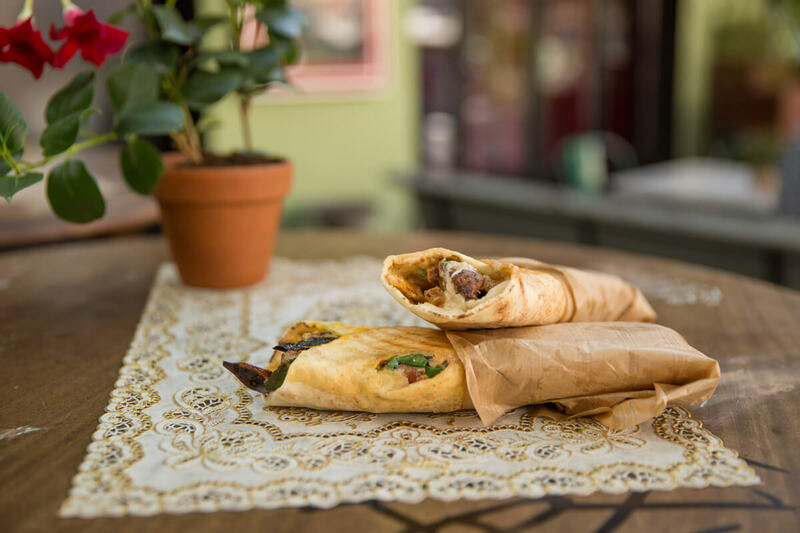 Falafel consists of the basic ingredients plus the typical falafel balls, which are hand-made and produced freshly everyday. Sabich (my personal favorite) is the take-out bestseller in Israel and originally a dish of Iraqi Jews. In addition to the basic ingredients, sabich comes with pieces of fried eggplant, cooked egg, and a sweet-zesty amba sauce made out of mangoes. Shish is a traditional dish of the country of Palestine and consists of the delicious combination of all the basic ingredients, added up with an orientally marinated chicken. The fries are also being prepared freshly everyday. Cut by hand and triple-baked! To round up this delicious food experience, there are two different sauces: Tahina and the spicy shaitan. 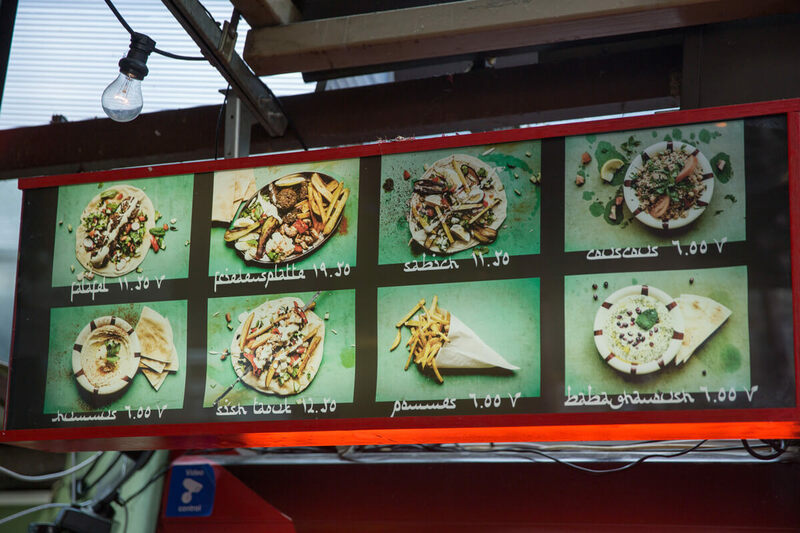 At the Palestine Grill, these three dishes (cultures) are being united: Falafel in the middle, Sabich to its left, Shish to its right. Sami emphasizes the fact that it is not the goal to do politics at Palestine Grill (even though they all have a very clear political opinion). Still, what they aim at is peace and to bring all the cultures together at one table. Why make war if you could be eating delicious meals together? 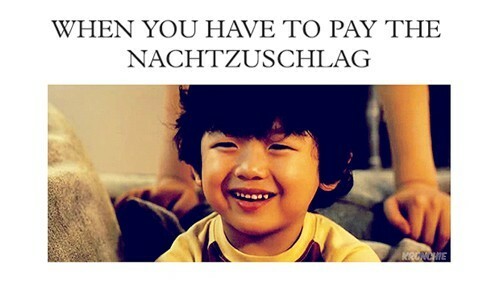 This cultural melting pot aka take-out is being managed by Sami, with the help of his mother, father and sister. Each of them is responsible for a different part of this family business. Now, after four years of successfully bringing Middle Eastern food to locals and tourists alike, the Palestine Grill family has grown. Still, it is important to Sami to treat the entire team more like a family than coworkers. And these are the exact vibes that come across to customers.